Current advances in medicine extend lives, but for most people the end of life is not healthy. According to research done by the Institute for Health Metrics and Evaluation (IHME), in 2010 healthy life expectancy at birth was 10 years shorter than actual life expectancy. 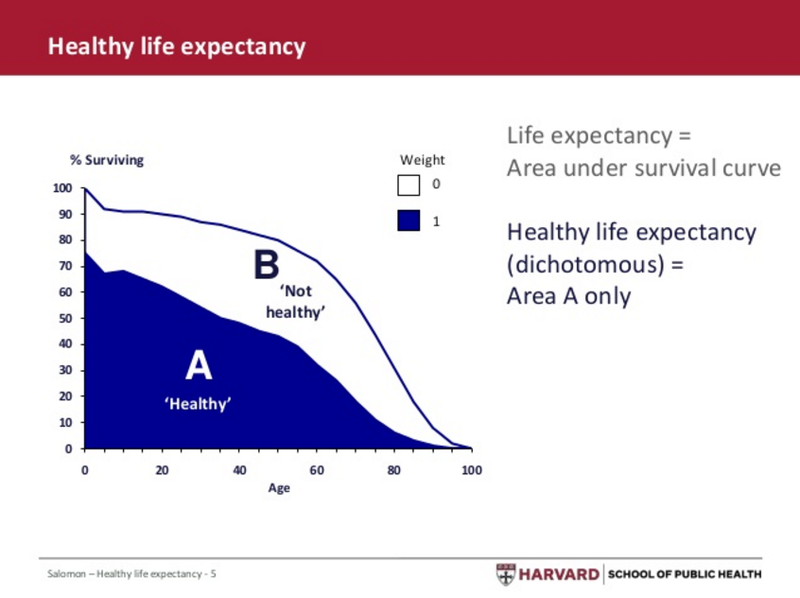 The Figure below from the Harvard School of Public Health illustrates this trend. Alarmingly this gap is actually widening and people are living with pain for longer. However, there are alternatives, it is well established that exercise is the best preventative drug. The most advanced exercise knowledge belongs to a family of Chinese Martial Arts. These arts are known as the ‘Internal Martial Arts’. Practitioners of these arts stay active, strong, and healthy into very old age. Tai Chi is the best known of these arts. However, the art I practice and teach, Ba Gua Zhang, is even more effective. Masters of Ba Gua Zhang live longer and stay healthy to the end. Below is a picture of a famous Ba Gua Zhang master, Lu Zijian, who lived to the age of 118. It is never too late to start. Join me for a session and experience the benefits yourself.